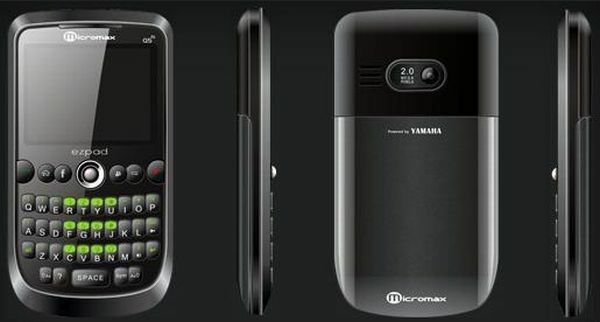 The name ‘Micromax’ was intended to arouse in the mind, the image of a phone that is ‘micro’ in budget but ‘max’ in features. The brand has successfully launched many feature loaded and innovative handsets and was in the forefront in launching dual SIM mobiles in India. 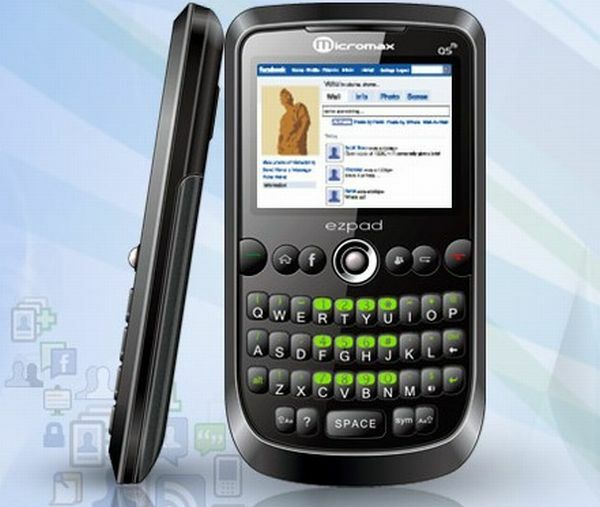 Micromax Q5 arrives as a low budget handphone with a dedicated Facebook button for the youth. The built in browser from Opera mini handles pretty well and the Q5 might be the answer for cost conscious, features crazed teenagers in India. The call clarity is fairly good and the speaker that has a built in amplifier from Yamaha is quite loud and good. The phone is able to handle the dual SIMs with ease and elegance. The photo quality is tolerable and the less that is spoken about the videos the better. The USP of the product according to the company is its instant connect to Facebook. However, this app only allows to update status, browse other people’s statuses and poke them. More than that the app is not capable of handling smoothly. Attempts to multi-task on the phone, even a simple thing like playing music in the background, result in terribly slowing down the phone. EDGE and GPRS help to some extent in faster data speeds. The instant messaging feature works well and the battery has a good life. The Q5 arrives with all the essential features that are available in a phone of its class, an unit converter, a notepad, a world clock, a stopwatch, calendar, calculator, vibrate mode, a speaker phone, text and multimedia messaging. The contact book can be populated with 1000 entries and caller groups can be created as well as managed by pairing with photos or ringtones. The higher end features include the built in Facebook app, the Opera mini browser, a stereo Bluetooth, voice memo recorder, PC syncing and conference calling. 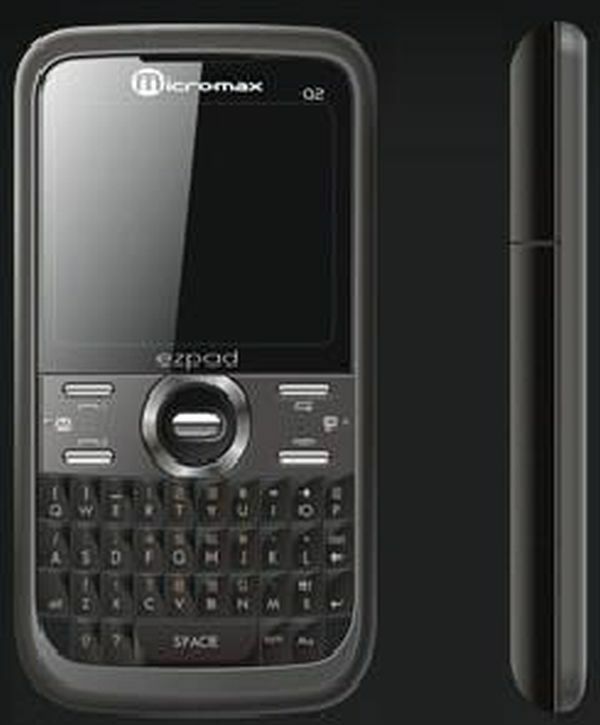 A 2 MP phone with basic photo and video shooting abilities has been included in the phone. The speakers on the phone have been powered by Yamaha amplifiers. 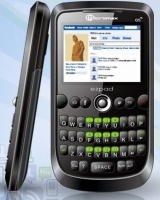 The main focus of the design on this handset is clearly the QWERTY keypad that is simply fantastic. The keys are all well spaced and so the chances of a mis type are almost nil. The trackball in the center makes navigation a breeze and a pleasure at once. The 262K Color QVGA screen has a decent resolution of 320*240 pixels and measures about 5.6 cm. 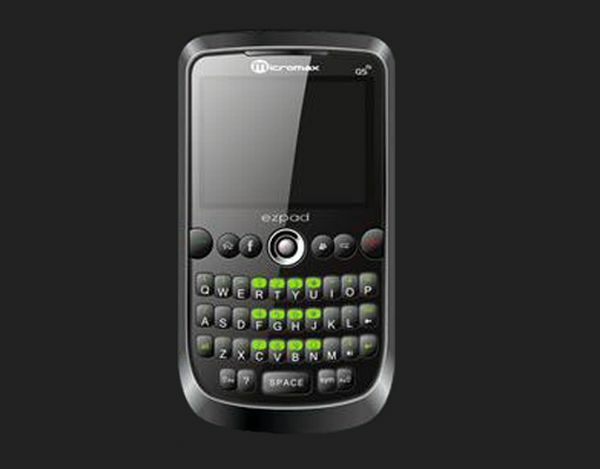 There are two dedicated buttons that act as shortcuts to Facebook and MSN. The base on the handset features the mini USB socket. The handset does not score high on looks but it is very comfortable in its handling. A rubberized case is available as an extra accessory and this keeps the phone from slipping off. The camera is located on the back as is the standard on all handsets. If one starts comparing the Micromax Q5fb with other phones with similar features, the price has to be considered. 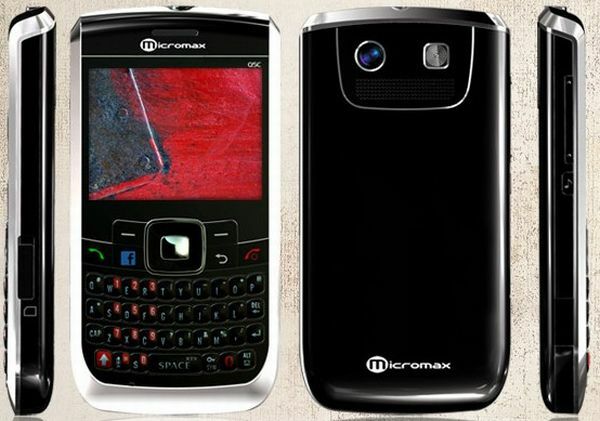 For just over 3 grand, one has to admit that Micromax is providing the best that is possible. It would be shameless on the user’s part to ask for more at such a price. For someone who just wants to be online, enjoy some features of high end phones and have a phone at an economical price, the Q5 would be the perfect choice. With its dual SIM feature, the user can choose the best calling and messaging options between two different service providers and economize. Definitely a good buy for the cost conscious teenagers.